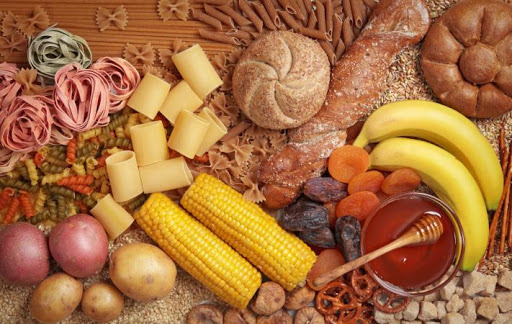 Carbs have often been blamed for causing an increase in obesity around the world. However, not all carbs have the same effects on the body. Processed foods and refined grains usually contain a lot of sugar and are unhealthy and fattening. Whole, fibre rich foods are actually a different case. Here are some high-carb foods that are at the same time healthy. Beetroots are a type of root vegetable. They contain about 8-10% carbs and are high in sugar and fibre. They’re high in vitamins, minerals, plant compounds and potent antioxidants. It also contains lots of inorganic nitrates which when converted into nitric acid helps lower blood pressure and your risk of numerous diseases. Oranges are mainly composed of water and contain about 12% carbs. They are also a good source of fiber. It is rich in vitamin C, potassium and B-vitamins. It also has citric acid and other potent plant compounds. Oranges may benefit heart health and help you avoid kidney stones. Blueberries contain powerful plant compounds and antioxidants. They contain about 14% carbs and water. They’re also rich in vitamin C, vitamin K, manganese, calcium and other vitamins and minerals. It helps protect the body from oxidative damage caused by free radicals. Grapefruit contains about 9% carbs and is high in several vitamins, minerals and plant compounds. It can aid weight loss and help reduce insulin resistance. It also helps prevent the development of kidney stones, prevents colon cancer and lower your cholesterol levels. These are a great source of vitamin C, antioxidants and other healthy plant compounds. They also contain other vitamins and minerals but in small quantities. It can help in blood sugar control and also reduce your risk of heart disease as well as reduce your risk of some cancers.